Last time, we destroyed the wall. This time, we rebuild it. I'm so glad I hired someone to rebuild the wall. I would have died or destroyed my wall had I done it myself. There were so many little things I would have never paid attention to had I tried to do it myself. If you destroy a wall, it's easy to move electrical outlets wherever you want. You can also remove electrical outlets. 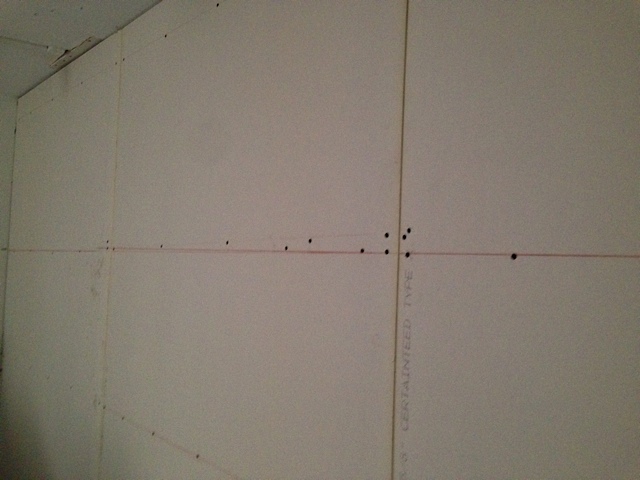 Each drywall piece can be textured to be flat or have some bumps. I just matched my current wall which has some texture, but I didn't think about it. Drywall has to be painted. Sounds stupid, but I didn't think about painting before. I thought you just throw up some wall. 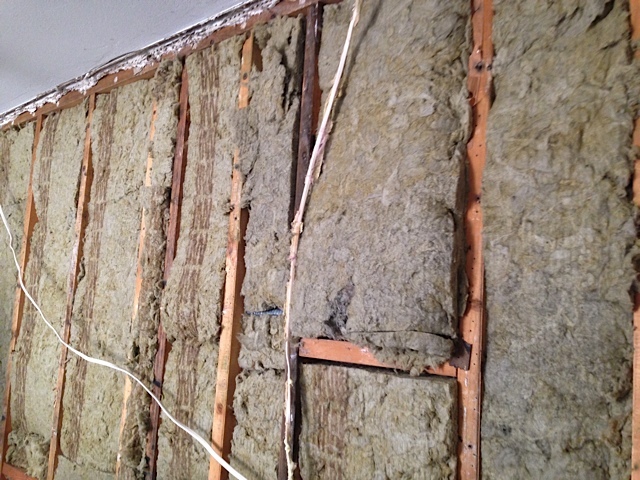 Since some portions of the wall are shorter than they were originally, some of the subfloor is exposed. Now I have to hire someone to rebuild and repair parts of the floor. 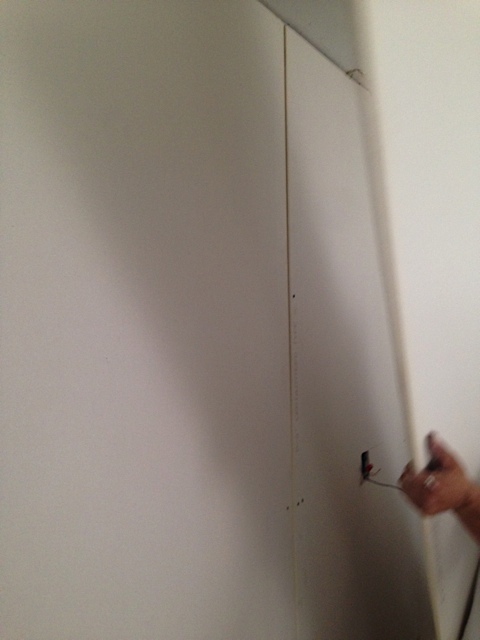 Drywall also has to be finished so that paint can actually go on top of it. You can't just paint drywall. Roxul Safe n Sound added in between the studs. The Hat Channel Installed on the clips. QuietPutty behind the electrical outlets. Interestingly, the neighbor had no electrical outlets on his side. One layer of drywall up. 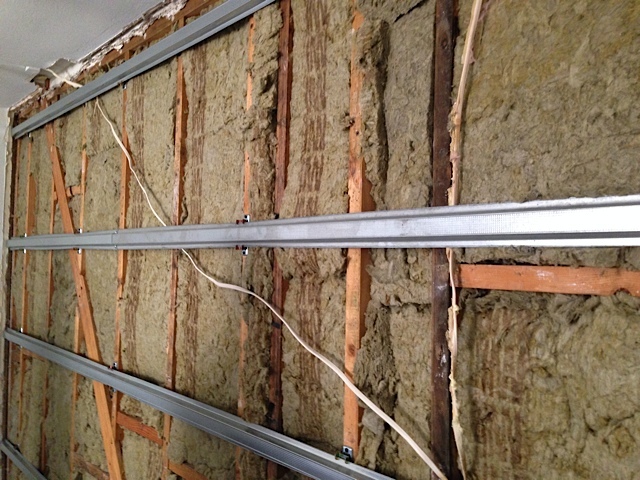 Two Layers of drywall up with green glue. The red lines are where the hat channels were. We missed a couple of times. Drywall textured and finished. Now ready to paint.